Al Ghandi Auto, one of the official Chevrolet dealers in the UAE, has sold its first Bolt EV, Chevrolet’s first electric vehicle in the region and the first EV to combine clean technology with a range of over 500km on a single charge. 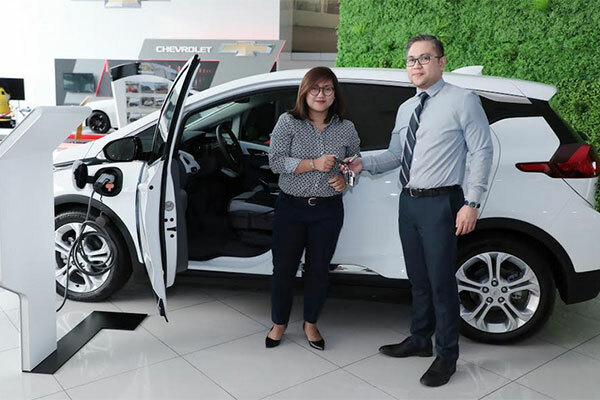 The company handed over the keys to its Bolt EV customer, Janice Albrando from the Philippines. “When I first heard about the Chevrolet Bolt EV I was excited to learn more as it meets all my requirements on green credentials without compromising on performance or range, making it ideal as my main car. Doing my part to protect the environment is important to me, especially in the small lifestyle adjustments everyone can make, and committing to an electric vehicle is the next step for me and my family,” said Albrando. "We are delighted to sell the first Chevrolet Bolt EV in Dubai to Janice Albrando, it was a pleasure that I hope I have time and time again with other customers looking to go green. We remain firmly committed to creating a sustainable landscape in future mobility, and the launch of the Chevrolet Bolt EV in Dubai signifies our relentless efforts to bringing innovation that complements the direction of the Dubai government in building a Smart City and in increasing the availability of zero emission vehicles in the UAE," commented Mark Jenkins, CEO, Al Ghandi Auto Group. To mark the milestone of the first Bolt EV sale in Dubai, Chevrolet’s strategic partner, GreenParking, provided Albrando with a level 1 charger to offer easy charging in her apartment block parking.